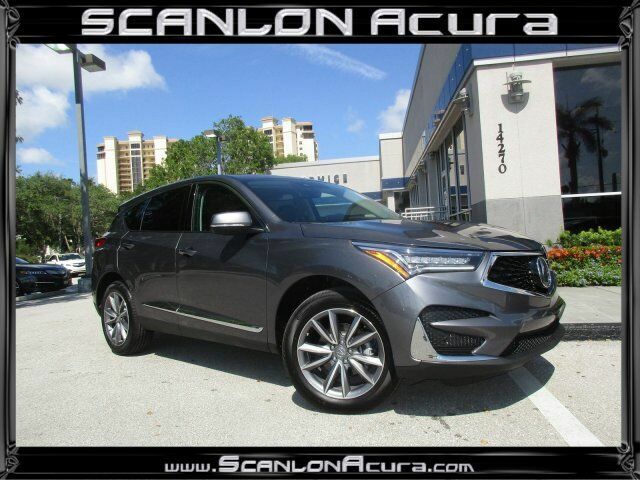 This Modern Steel Metallic 2019 Acura RDX w/Technology Pkg with Navigation, Backup Camera, Heated Front Seats, ELS Studio Audio System, Dual Air Conditioning Climate Control, Panoramic Sunroof, Bluetooth and Much Much More is just what you're looking for! This RDX Tech has Acura factory warranty honored anywhere in the USA. Special finance terms, trades welcome and we ship anywhere! For an e-deal you'll feel good about contact Scanlon in Fort Myers today! We are your New Acura Florida Dealer. *Note that new vehicles may be subject to unrepaired manufacturer recalls. Please contact the manufacturer for recall assistance/questions before purchasing or check the NHTSA website for current recall information. ** While every reasonable effort is made to ensure the accuracy of this data, we are not responsible for any errors or omissions contained on these pages. Please verify and review any information in question with a dealership sales representative.